Plot: Prima ballerina, Dominika Egorova faces a bleak and uncertain future after she suffers an injury that ends her career. She soon turns to Sparrow School, a secret intelligence service that trains exceptional young people to use their minds and bodies as weapons. Dominika emerges as the most dangerous Sparrow after completing the sadistic training process. As she comes to terms with her new abilities, she meets a CIA agent who tries to convince her that he is the only person she can trust. Saw this tonight, loved it. A proper spy film. Lawrence is very good but Joel Edgerton is exceptional. To be fair the acting is top drawer all round. 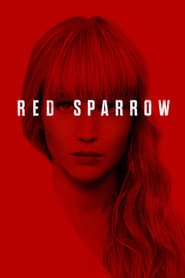 Anyway, Red Sparrow is a gripping thriller and an all round quality film.